PORTABLE AND LIGHTWEIGHT, the Wireless Bed Scale is incredibly easy to set up and operate. A health care provider simply places a weighing pad in front of each of the bed’s four wheels and moves the bed onto the pads. The “easy tare” function takes the bedding into consideration and calculates the patient weight, which is then wirelessly communicated to the handheld controller. 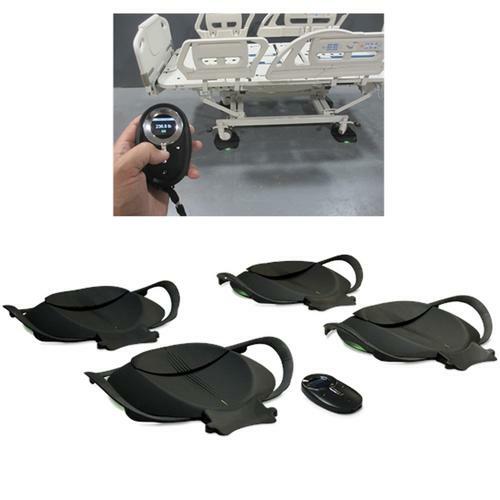 By eliminating the need for patient transfer, the Wireless Bed Scale maintains safety for the patient and staff.